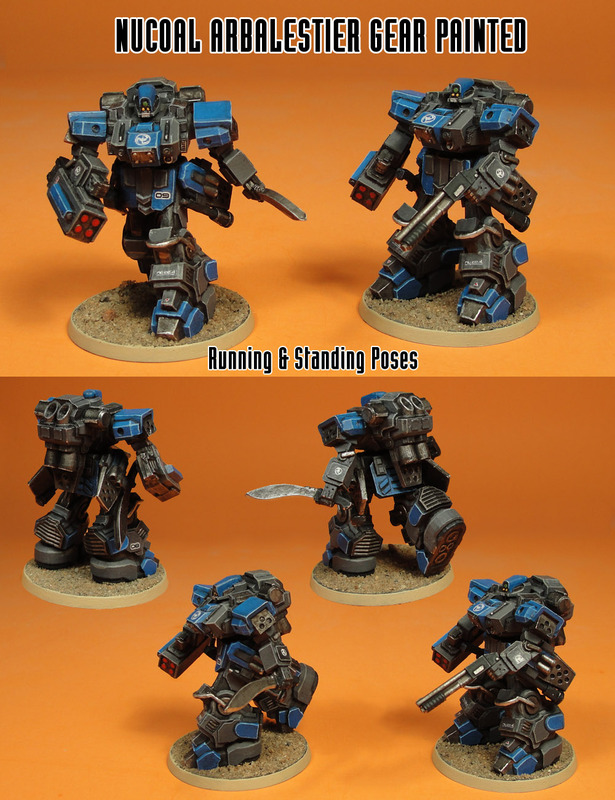 Home » Blog » News » Peace River & NuCoal Kickstarter Update: Mold 1 & 2 Plates CNC, Shipping Update, and Painted Black Wind & Arbalestier Minis! 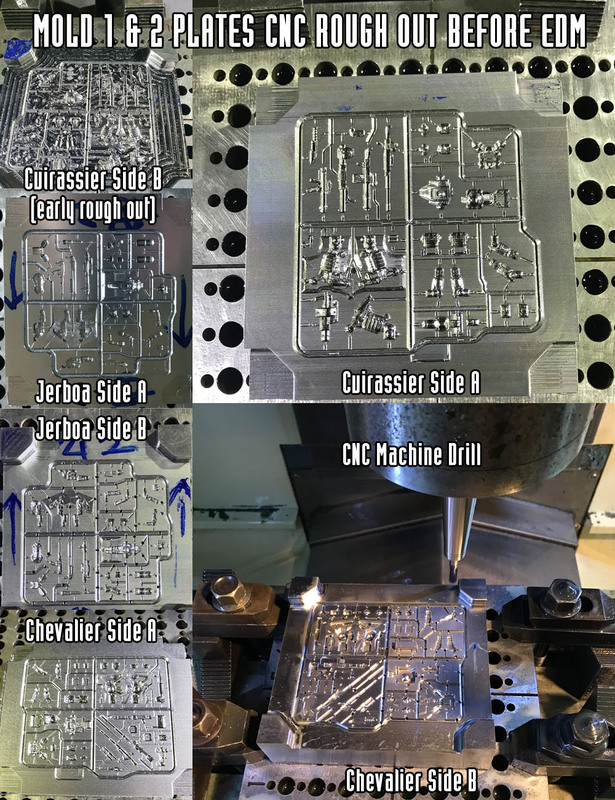 We have approved plans for plastic injection mold 1 (Chasseur, Cuirassier, Warrior, and Warrior) and mold 2 (Chevalier, Jerboa, Crusader IV, and Skirmisher) and work has started on making the robot sprue plates. Today’s update includes photos below of a few robot sprue plates (Sides A & B) that have their cavities roughed out using CNC machine drill. They still need to have the EDM process done to them, where the very fine details are electrically burned into the cavities. It should take the mold manufacture over in China a little over a month to finish molds 1 and 2. Then they will start testing the molds and get the first test pops of plastic will be made and sent to our office in Montreal to approve in late April or early May. We then look over the test pops and get back to them with any issues we spot and they fix the mold plates accordingly and then send us new sets of test pops to check and approve. With out first Kickstarter it took 3 sets of test pops over a month before the molds were finalized and approved, we expect it to go about the same this time. We expect to see the mold 3 plans shortly for the Utopia Forces Kickstarter robot sprues and once those are approved the mold production company has promised to get it made as fast as possible so that it will ship at the same time as molds 1 & 2. We are behind schedule of the Kickstarter and the expected April 2019 shipping date will need to be pushed back to this summer. As we expected the test pops and final mold approval to take a month and then shipping of the 3 molds from China to Canada to take another month. And then the local Canadian plastics manufacturer we’ll be using here in Montreal will take another few weeks to prepare the molds and get all the plastic robot sprues popped and deliver to out office. We hope to receive them late July, and start packing and shipping backer reward packages shortly after. We’ve had a few backers ask if we unlocked more stretch goals after the Kickstarter ended and the answer is yes. When we opened the DP9 Pledge Manager we unlocked all the way to SG#09. So now the Peace River Army includes 1x Peace River faction patch, 6x Warrior, 6x Warrior IV, 3x Crusader IV, and 3x Skirmisher plastic minis. The NuCoal Army includes 1x NuCoal faction patch, 6x Chasseur, 6x Cuirassier, 3x Chevalier, and 3x Jerboa plastic minis, Both are great Army Commander Reward Level packages with faction patch and 18 plastic minis for just $70 CAD pledged each. And our Badlands Commander Reward Level at $100 CAD pledged is an amazing deal with both Peace River and NuCoal Army Commander packages combines (both faction patches and 36 plastic minis). There is still time get in on these great Peace River & NuCoal and Utopia Kickstarters deals, here is a link to the DP9 Pledge Manager for all interested in becoming Outside Backers. We’ll keep everyone updated on the mold production status and shipping as we have any news to report. Previous: Feedback Friday March 22nd 2019 – HGB Rules 3.0 ALPHA v1.4 Update! 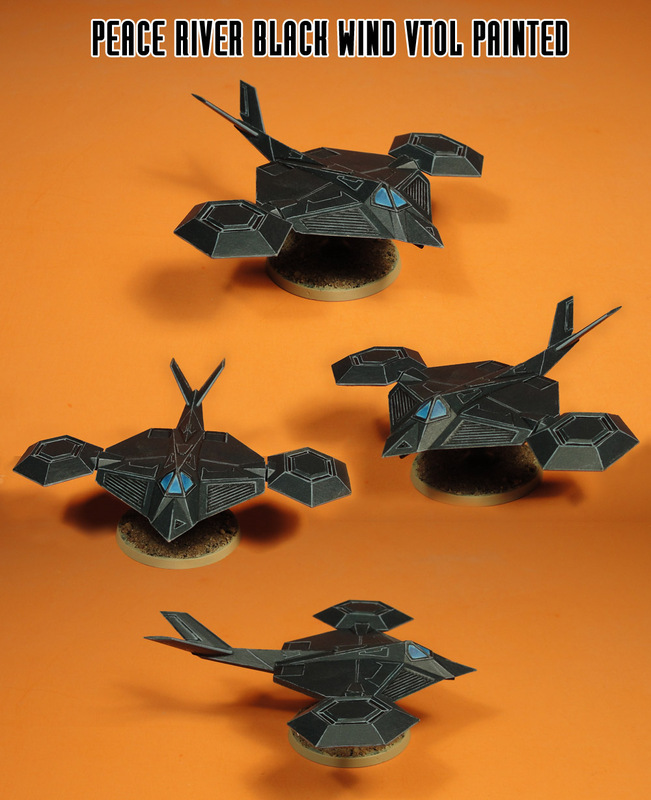 Next: Venus Kickstarter Update: Gao Tzu, Shan Yu, Tsar, and Senator Spaceship Minis!